Traditional style wood Screen Rooms/ Screen Houses perfect for relaxing or entertaining without mosquitoes ruining the fun. Our Screen Room look good in any landscape and adds carefree usable space in your yard. It works wonderfully an an outdoor dining space as well. 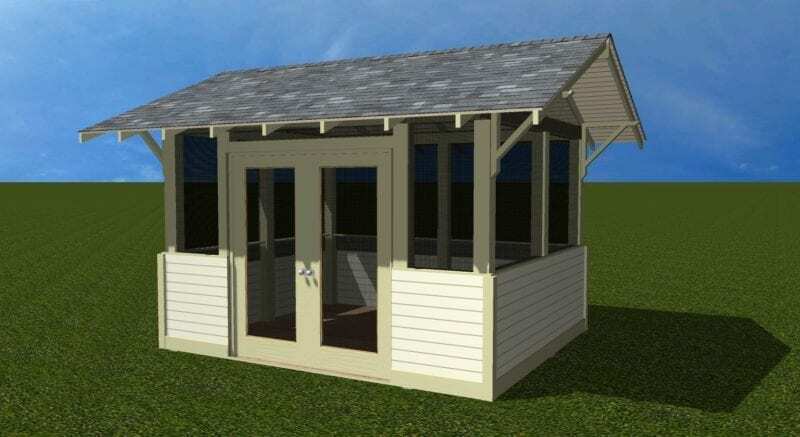 Historic Shed Screen Rooms feature a gable roof, cypress siding on the lower portion of the walls and paired screen doors. We can further customize the design to suit your needs and complement your house. All Historic Sheds arrive fully painted to your color choice. ** Prices include delivery and set-up within roughly 75 miles of our Brooksville facility. Additional fees may apply for locations further away.